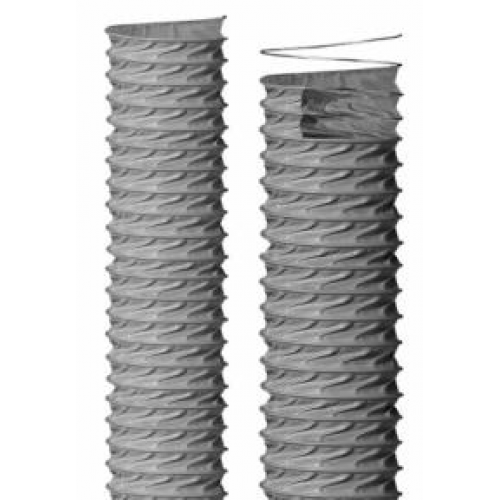 Technical Features: Flexible ducting made in PVC coated with polyester fabric, reinforced with a steel wire. The steel helix is welded between 2 fabric layers. Properties: It comes in compressible length for easy handling and cost saving in stocking and transporting. Very light, flexible and good in bending, excellent to be used for installation of ventilation system. Standards: Flame retardant M2 grade according to NFP 92 503. Automotive industry, air conditioning plants, ventilation systems, suction of fumes, vapours, powders and gas.